These 12 courses will turn your book idea into a reality. Want to become a published author? In this day and age, it's easier than you think. All you need is some know-how about self-publishing. The eBook Self-Publishing Bundle can help you get there! These twelve courses will guide you through the process of writing, publishing, and monetising your novel. You'll learn everything from how to write a novel quickly, to how to get paid as a writer. You'll discover different income streams that are available to you on the Kindle publishing platform. 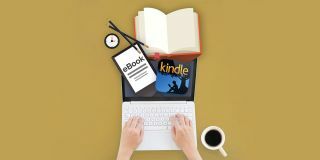 Make money doing what you love – get started with The eBook Self-Publishing Bundle for only $29.